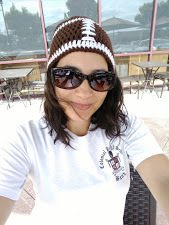 I have always been a fan of cold salads – egg, tuna, potato, macaroni… Especially with BBQ food or hamburgers. Mmm! I love how they are so good, and so filling, but not heavy. 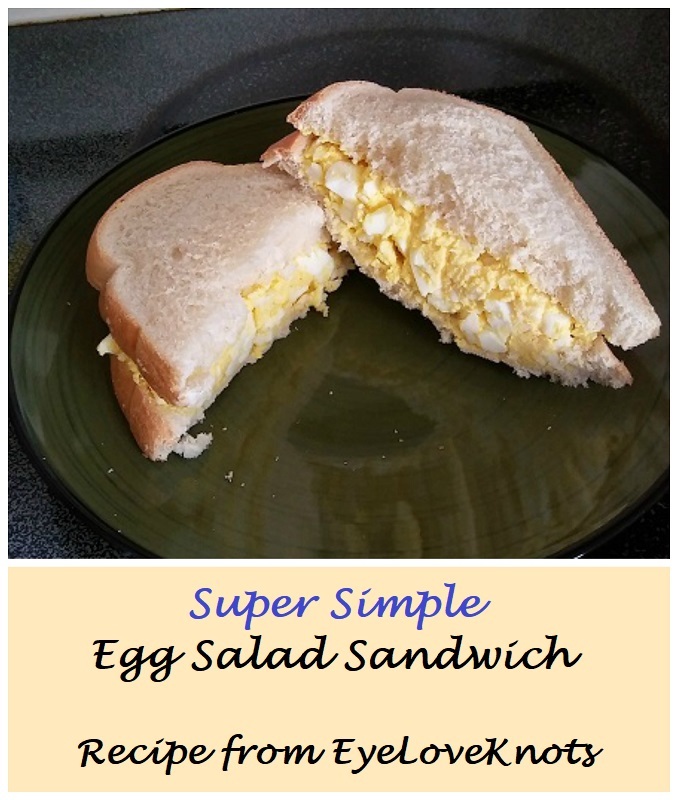 Sometimes when I get home from work, I just want something light to eat – and egg salad sandwiches are perfect! I’ve gone with a super simple recipe here for just the basic sandwich, but you could absolutely add lettuce and tomato to your sandwich, or mix in some bacon bits, diced onions or celery, or even dill pickles! Step 1: Boil and peel the eggs. To Boil: Place eggs in a pot. Fill with hot water to cover eggs. Place on medium heat (I use 6.5) until comes to a rapid boil – about 6 minutes. 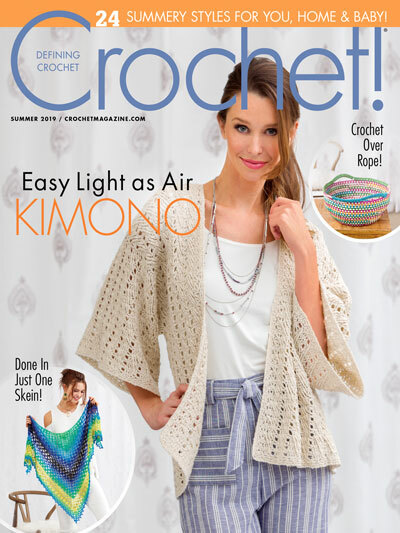 Pull off heat, and cover for 12 minutes. Peel: Drain water. 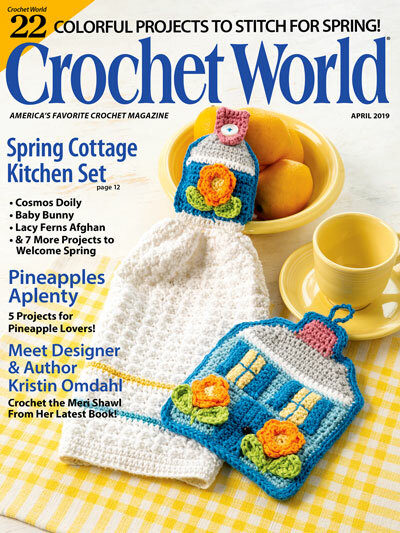 Fill a mixing bowl with ice and cold water. Put eggs into cold water to shock. Start peeling. Step 2: Mash up the eggs. 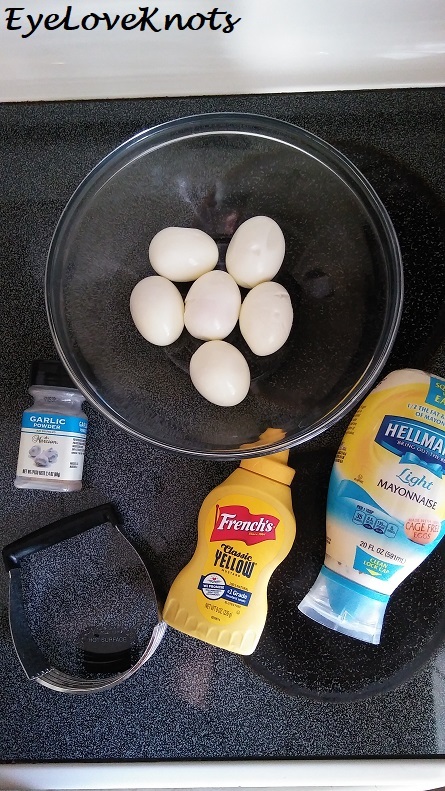 Step 3: Add mayo and mustard to eggs. I like 2 tablespoons of mayo, and 1 of mustard, but that’s my preference. Taste, and add more if needed. Step 4: Sprinkle on garlic powder! I love it. 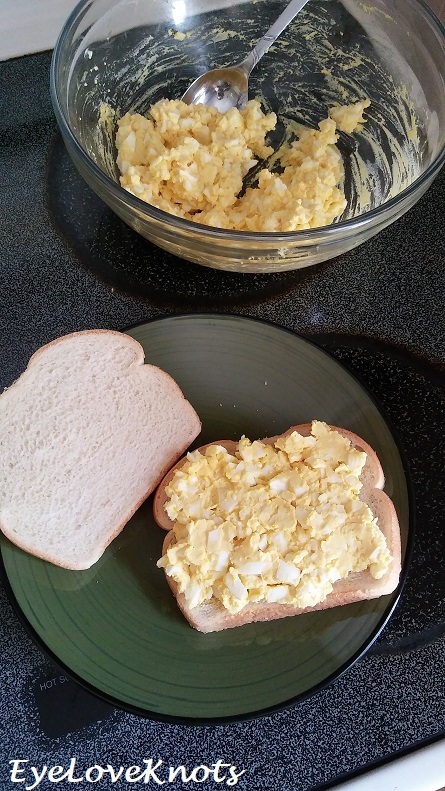 Spread egg salad onto bread, and enjoy! Please DO NOT claim this recipe as your own nor should you sell my recipe, and DO NOT re-publish my photos as your own. DO NOT copy and paste my recipe anywhere, link to it instead. 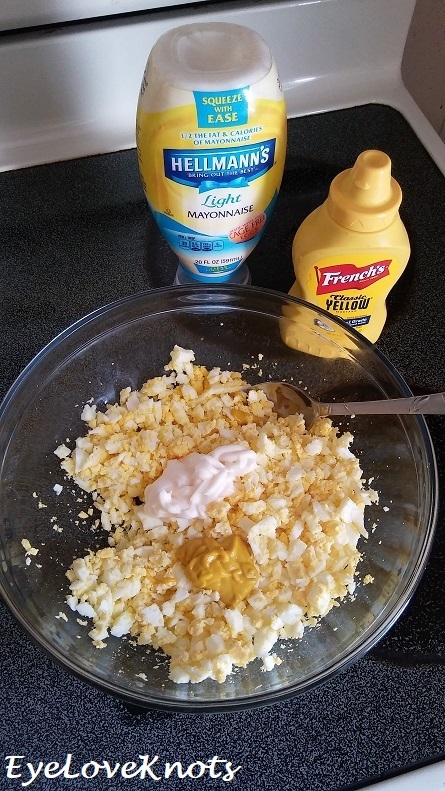 I have not had egg salad in forever, but this would be such a great lunch idea!! Yum! I’m going to try out your easy recipe soon! Definitely a good lunch idea! My go-to at least once a month. 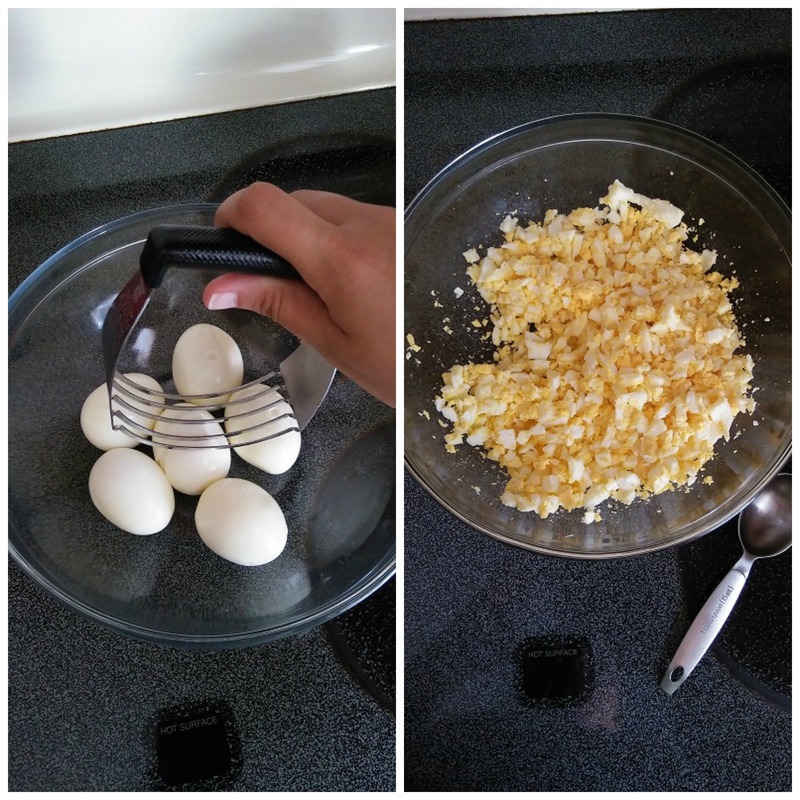 I use this recipe, and I can eat lunch for two days or so… I say or so because sometimes I get so excited about having the egg salad, I eat it all in one day. Hehe! 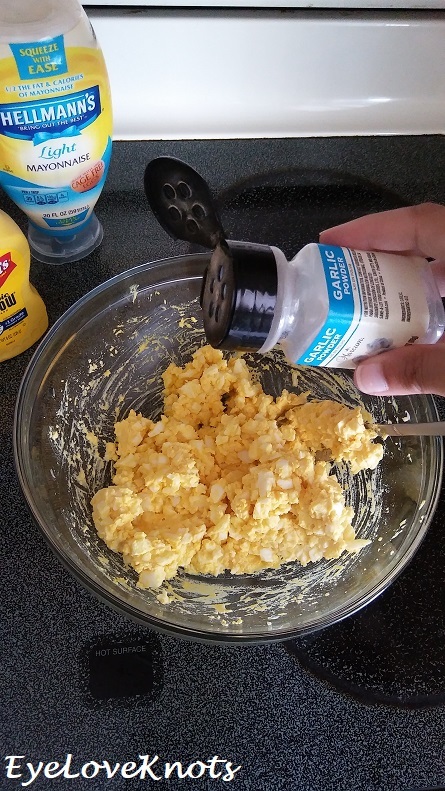 We love egg salad at home, and your recipe sounds great. I’ll definitely try it out.